Vitacost Stocks Up Awesome Dog Treats! 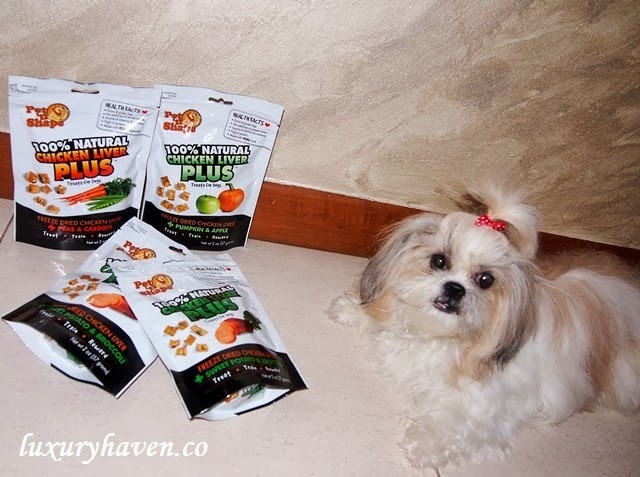 You are here:Home » Vitacost Online Shopping » Vitacost Stocks Up Awesome Dog Treats! Hello everyone! 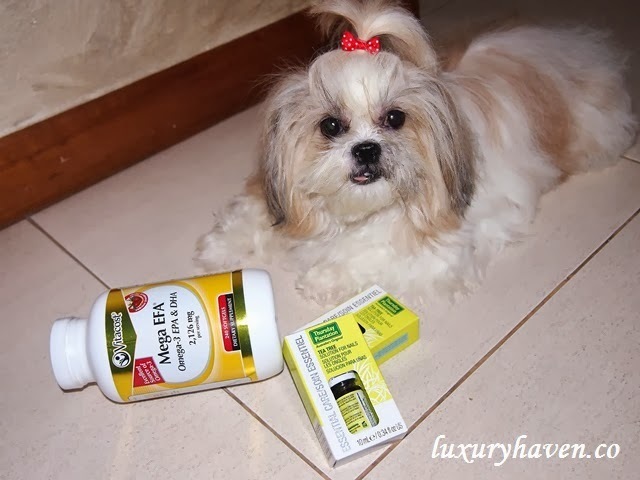 This is Candy, writing from Luxury Haven. Mummy Shirley is busy entertaining the other Candy on her iphone, so I’ll be introducing our #Vitacost goodies to you instead. I know #CandyCrush has taken the world by storm, & even Daddy Ken is so caught up with it. But don’t you think I’m just as adorable as the other Candy? Do you know that I Candy Crush too? If you need life, buzz me yah? I'll send it to you! Peas & Carrots, Sweet Potato & Broccoli - Vitacost: USD 4.59 each, Retail: USD 7.49, You Save: 38%!! 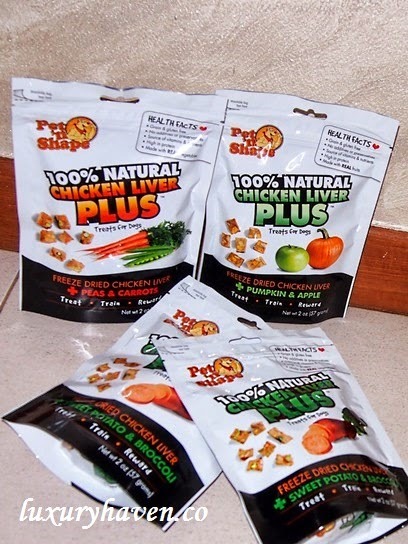 I haven’t tried the #Dogswell VITALITY™ Minis Jerky Chicken (5 oz), but real chicken breast jerky with added nutrients seems like a great snack! OMG, it also says great source of vitamins, rich in protein, & “LOW IN FAT”! With my habit of constant snacking, I just have to think that I’m not overweight, but everyone else is under-nourished! Woof, woof!! Vitacost: USD 4.99, Retail: USD 7.49, You Save: 33%! 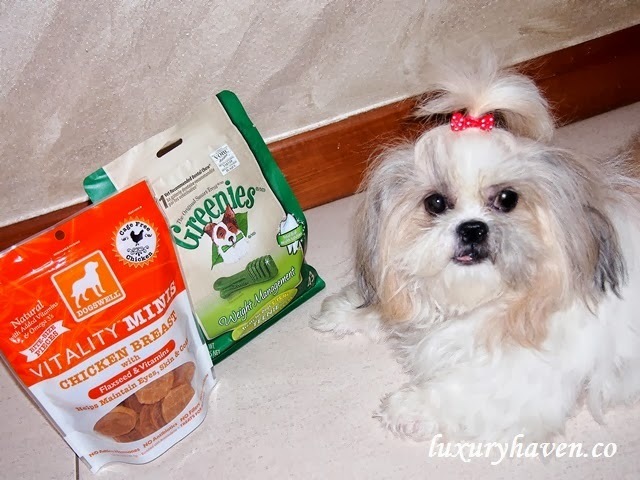 I love these #Greenies Dental Chews LifeStage Lite Teenie Treats for Dogs (5-15 lbs, 43 Dog Treats)! When fed daily, GREENIES LITE® dental chews are clinically proven to deliver fantastic benefits for a total oral health solution! Vitacost: USD 13.69, Retail : USD 20.99, You Save: 34%! Enough goodies for me this month. Vitacost has so much stuff at attractive prices, can’t blame my parents for stealing my space to slot in some of their haul. Seems these individual #flosser is effective for removing plaque & food particles. Can’t believe humans need these! 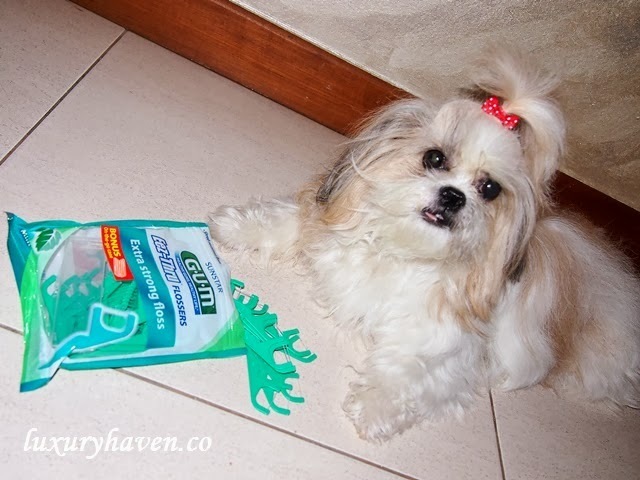 Thank goodness we dogs have our #dentalchews! Premium-quality, purified #FishOil softgels provide an optimum ratio of omega-3 EPA and DHA.. Daddy Ken has been buying fish oil for the family & spotted this fantastic Vitacost Promo @ half-price! Retail: USD 21.99, Sale: USD 9.99, You Save: 54%!!! DROOL: A liquid that, when combined with sad eyes, forces humans to give you their food. To do this properly you must sit as close as you can & drool on the human. LEASH: A strap that attaches to your collar, enabling you to lead your master where you want him/her to go. LOVE: A feeling of intense affection, given freely & without restriction. The best way you can show your love is to wag your tail. If you're lucky, a human will love you in return. THUNDER: This is a signal that the world is coming to an end. Humans remain amazingly calm during thunderstorms, so it is necessary to warn them of the danger by trembling uncontrollably, panting, rolling your eyes wildly & following at their heels. Cute Candy! So lucky for her too to have so much goodies every month. DS, we're spoiling her too much! Candy is so darn sweet! 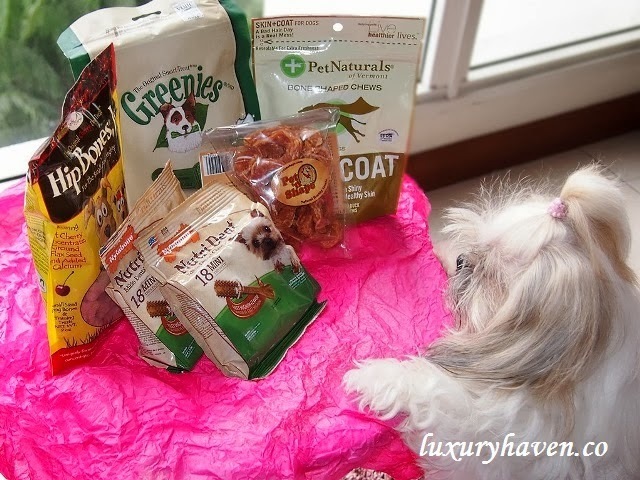 I hope you got her lots and lots of treats :) And I love those doggy definitions...so true! Liz, hope you'd a good time here! What an adorable little darling you have. The treats must be doing wonders for her. While I don't have such a cutie at home, will certainly recommend this link to my friends. Nava, Candy must be thrilled to hear this! Thks for the kind gesture! wa she has so many snacks! shiok! FC, I can only envy her goodies! Hahaha! 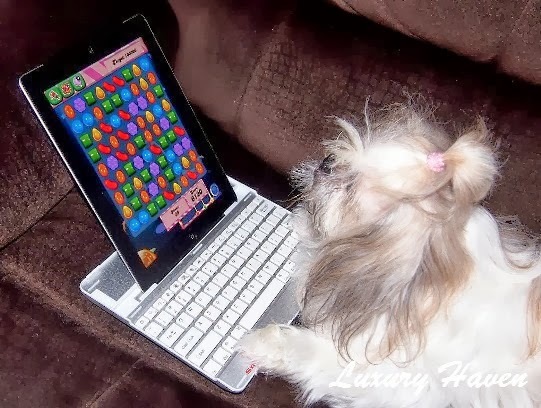 what a lucky dog...playing candy crush. what a cute doggies! these treats look amazing! CPP, thks for coming by & it's great having you here! Gonna pop by your blog soon! YM, thks dear! I adore that pix! Wait, no wonder Big Fat turns panicky whenever there is a thunderstorm. I didn't know that to dogs, a thunderstorm means the ending of the world. Ciana, hahaha! That's so cute, isn't it?? Hi Candy, don't get addicted with Candy Crush ya..haha! I only keep a can of treats at my main door... whenever I go out, I will ask her to sit at the door corner... she will readily comply while waiting for her treat... And whenever she goes out to do her business, she will bark when she comes back to the house... well, I guess that if she could talk, she will tell me what she wants to do! hahahaa... They are really cute! Reana, that's really cute & your dog is doing a fantastic job! I guess our pets talk to us in a different manner, especially when they know they'll be getting nice treats. What's your pet's name? I do and he is just like another family member. We understand his language and he does ours. Your candy is real cute! Balvinder, it's always great having an additional family member & sharing the closeness, isn't it? Candy, you're too cute! Glad to hear you're getting pampered with so many treats. Rose, thks for the sweet comment! My family loves her! Candy must be loved you my friend ! DC, hahaha! Thks & have a wonderful weekend! Sharon, yeah! See you at Candy Crush. Lol! Your dog is sooooo cute like a toy!! You are so clever to get her to blog! My sister opened 2 Facebook accounts for both her cats!!! The cats are active and chats with other dogs & cats in overseas. Crazy peeps. TM, hahaha! Candy has a FB a/c too. Add us if you're active there!